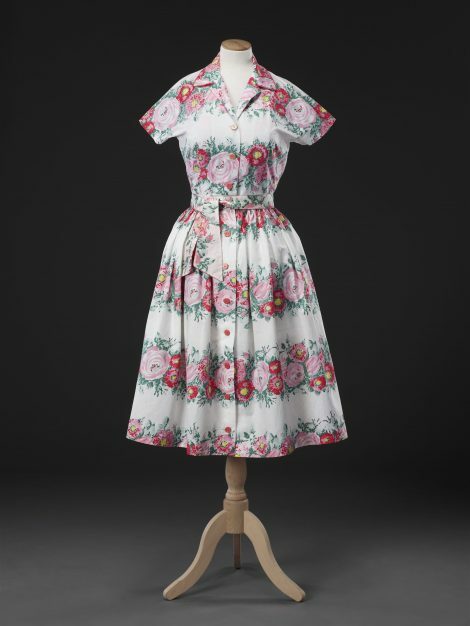 This dress and jacket, and the Related Items, were made by the firm Horrockses Fashions, which was founded in 1946 by the long-established cotton manufacturers Horrockses, Crewdson & Co of Preston, Lancashire. The company aimed to raise the status of cotton garments which before the Second World War had, on the whole, been considered functional and inexpensive. 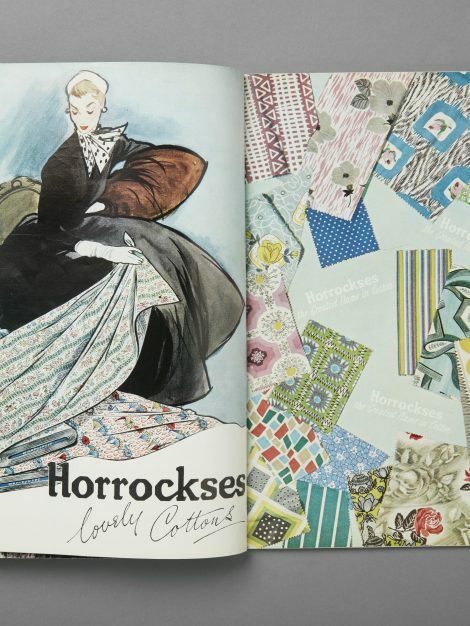 Targeting a middle-class market, Horrockses employed top-quality freelance and in house designers for both its fabrics and garments, and sought to establish itself as a brand name recognisable for quality and modern stylishness at a reasonable, though by no means inexpensive, price. 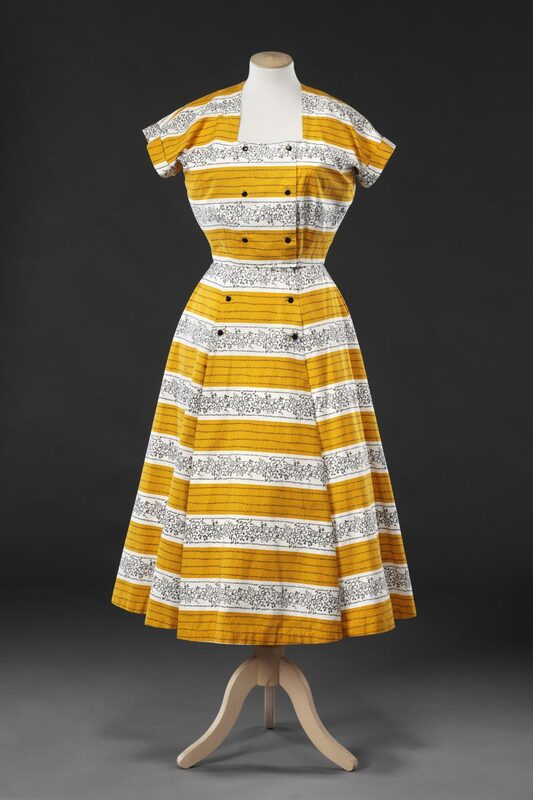 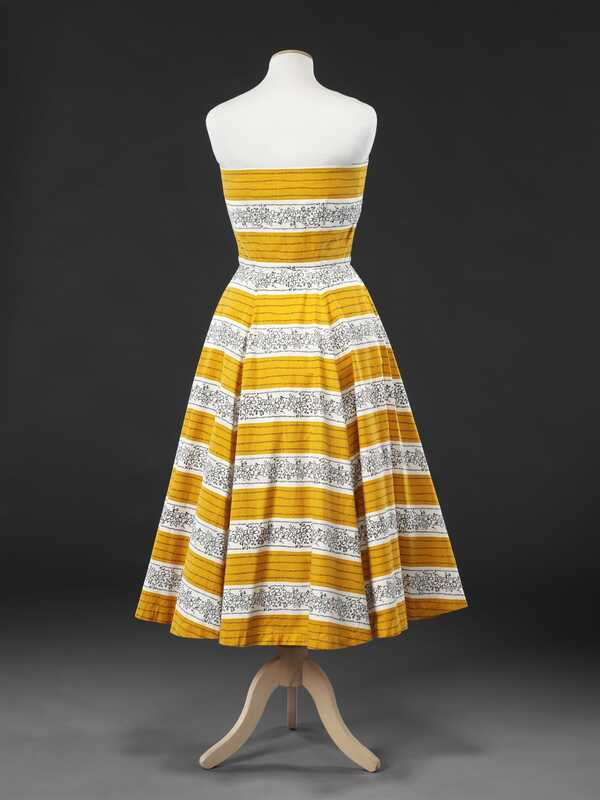 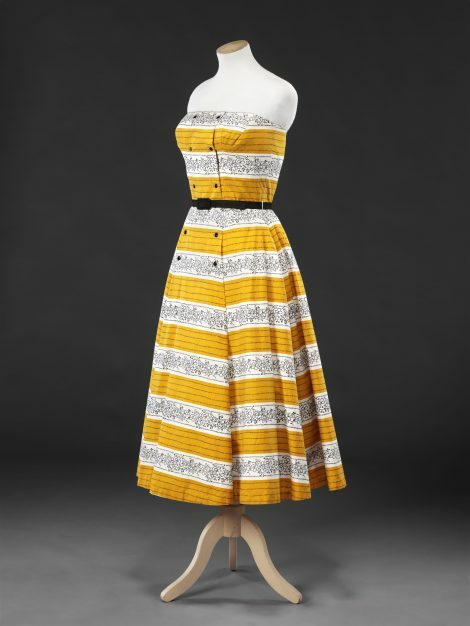 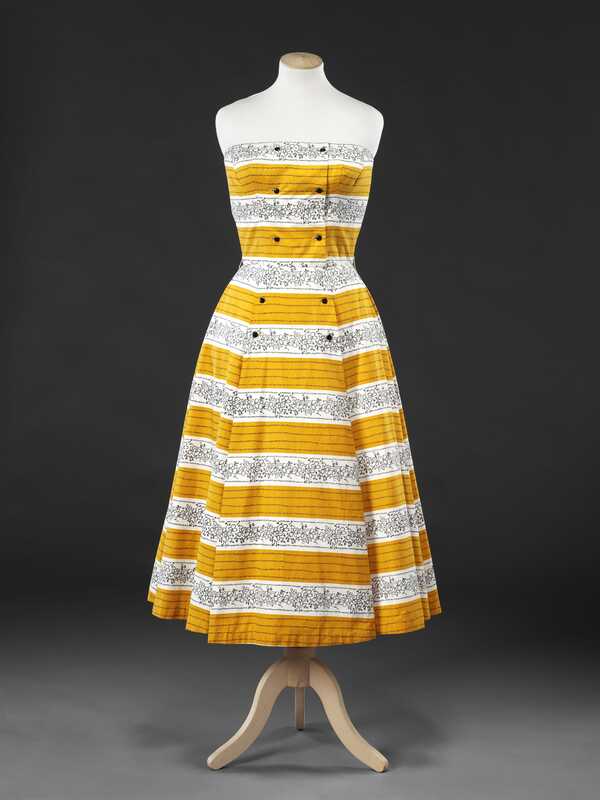 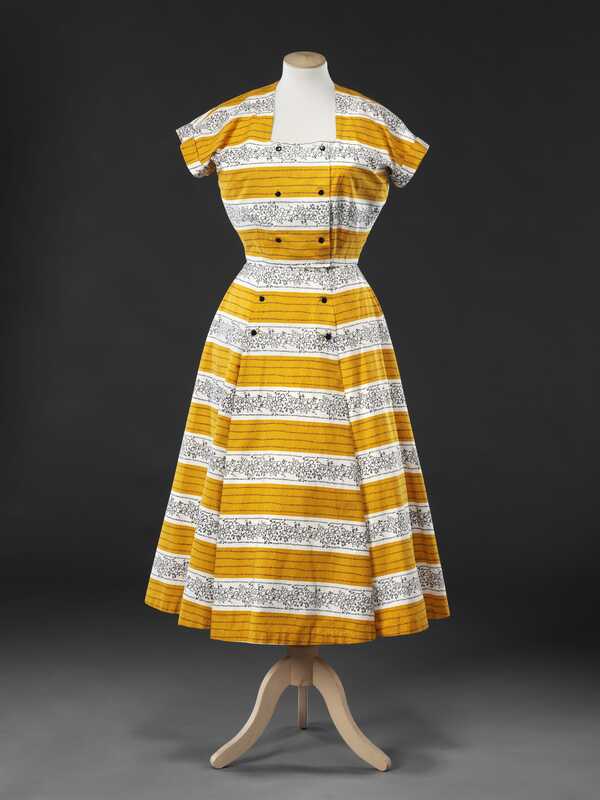 The combination of a sun dress with a short matching jacket to protect against sunburn or cool weather was a success story for Horrockses in the early 1950s. 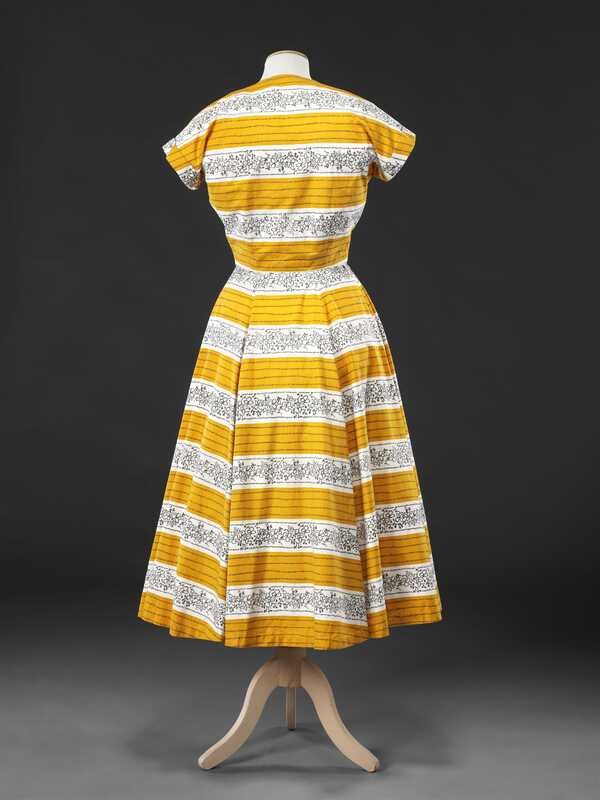 This example is made of cotton printed with the horizontal bands of pattern that were characteristic of the time. Bright yellow and white alternate as grounds for delicate stripes and flowers executed in short black hatched lines. 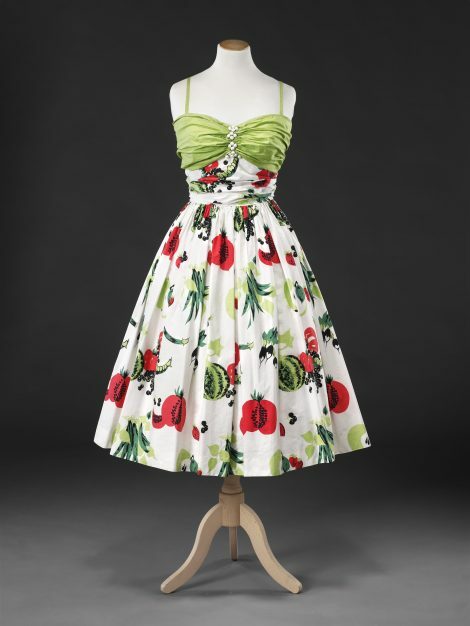 The unlined; unboned, strapless bodice of the dress has a double breasted front with small black buttons that continue down the upper part of the skirt. 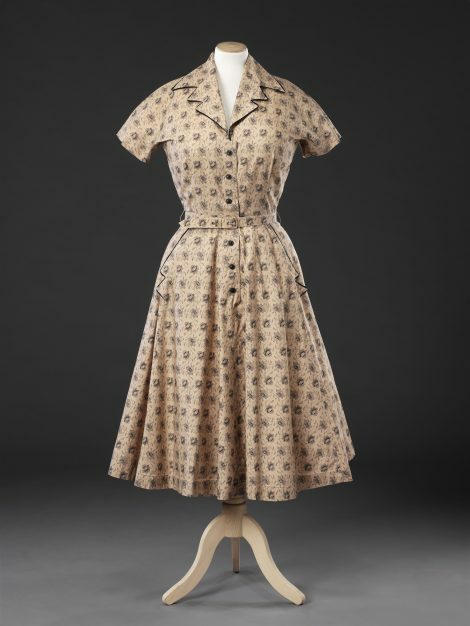 The jacket is also double breasted with a square neck and integral capped sleeves. The dress’s original matching belt is missing; Additional Images show it worn with an unrelated black leather belt. 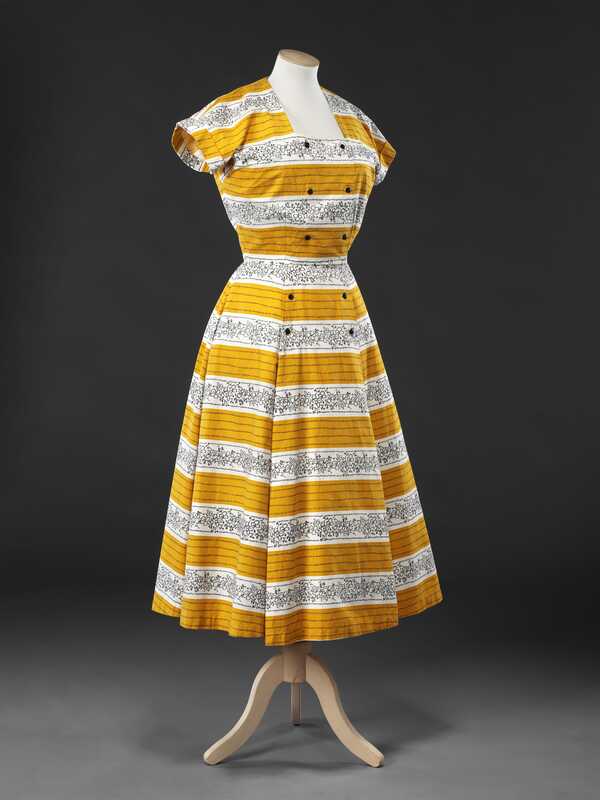 An advertisement for a Horrockses dress in Vogue’s December 1953 issue illustrates it also accessorised with a narrow dark belt which emphasises the ideal nipped in waist of the day and echoes the small globe buttons.